BAGUIO CITY, Benguet - Looking at this abandoned building, one would not expect that it was once a hotel. 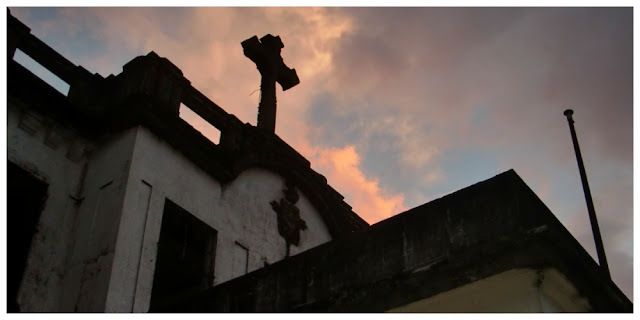 The edifice was originally constructed by the Dominicans in the early 1900's as a vacation house making it almost as old as the City of Baguio itself. It was then converted into a schoo,l and later into a hotel after World War II. Diplomat Hotel finally ceased its operation in the 80's and was abandoned ever since. Today, the Old Diplomat Hotel is noted as one of the haunted places in Baguio, very famous for tourist in search of a haunting experience. Locals and even tourists reported ghost sightings and other paranormal activities attributed to the building's past. Walking inside the decaying building, through its dark, damp and narrow corridors and staircases, reminded us of the video game Silent Hill. We had a feeling that someone or something is constantly watching every move we made. On the second floor of the building are where most of the bedrooms used to be. In some of the rooms, you can still see some remnants of the furnishings used in the building. On the top floor you will find the cross that gives this building its distinct character. It is also a good spot to have an overlooking view of Baguio City. The deserted property located on Dominican Hill is now owned by the local government. 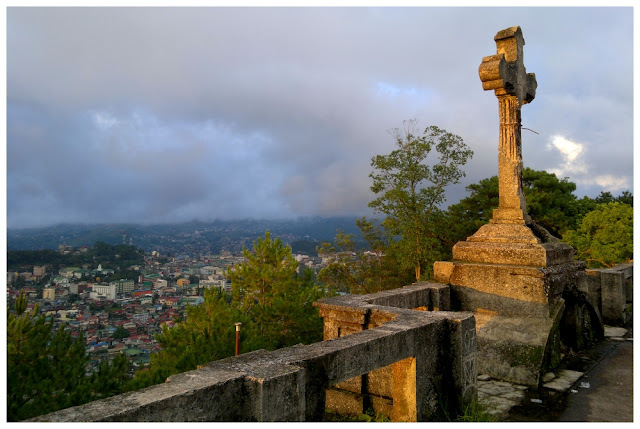 In its efforts to erase the image of the area as a haunted place, the city officials has renamed it to Baguio Heritage Hill and Prayer Mountain, or simply Prayer Hill, intended to be a venue for social and recreational events. But everyone today still refers to it as the Old Diplomat Hotel. The Old Diplomat Hotel is open to visitors from 6:00am to 5:00pm. Entrance is for free as of this date. to downtown Baguio City: At the gate, wait for taxis dropping off visitors. You may also walk downhill and catch a taxi that may pass by.